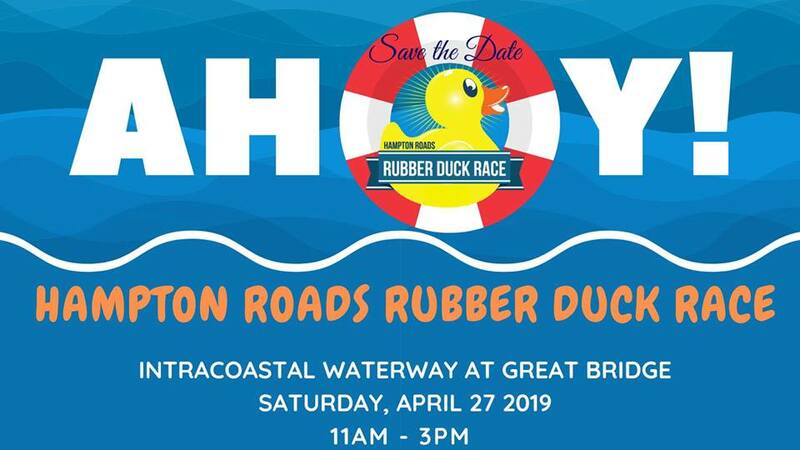 Join the fun at the 13th annual Hampton Roads Rubber Duck Race, Saturday, April 27, 2019 from 11:00 AM to 3:00 PM at the Intracoastal Waterway at Great Bridge, 116 Reservation Road, in Chesapeake, VA. This event has become a favorite tradition of both young and old in Hampton Roads. 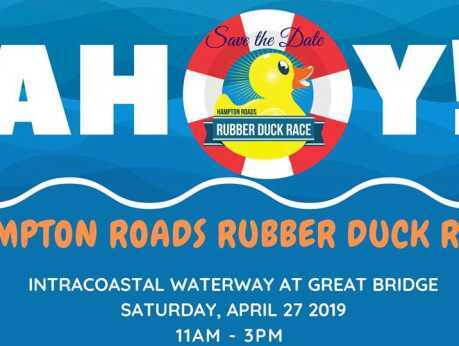 Thousands of rubber ducks will float down the Intracoastal Waterway, winning spectacular prizes for lucky duck participants. First place will win $10,000 and other lucky ducks will receive prize packages valued at over $1,750. This is one of Hampton Roads' premier family events with more than 2,500 spectators cheering on their ducks and enjoying a day of fun activities, music, food trucks, children’s games and even story telling by local celebrities to benefit CHIP and the children of our community. Join us on Saturday, April 27th for a ducky day. Price: See website for Duck Ticket prices.